MyCage is the final project of my studies at the Rietveld academy in Amsterdam. It Started a year and a half ego with a playful music performance at the glass pavilion of the Rietveld academy (see the post) and sins then developed greatly and was now exhibited and performed at the Gerrit Rietveld academy graduation exhibition that started at the 03.07 till the 07.07.2013. 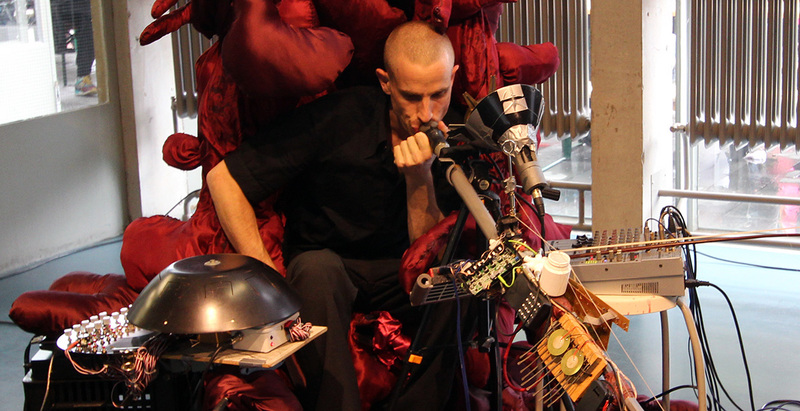 'MyCage' is an interactive sound and music installation composed out of an array of self made musical instruments. 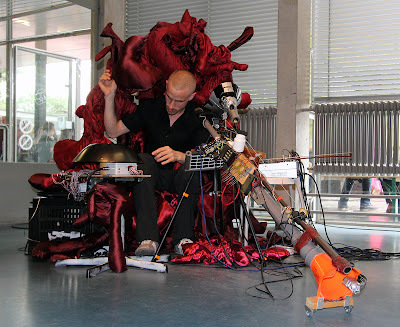 The installation also doubles as a reactive stage for a unique music performance. 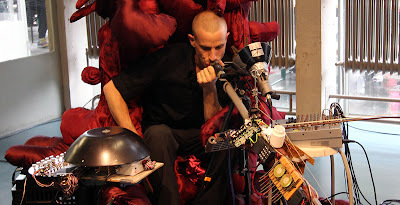 Each of the musical instruments takes a different approach, from hybrid instruments combining multiple sound sources with a non conventional way to modify them alongside acoustic self made instruments and organic looking Hi-Tech textile instrument that react to any touch or vibration. 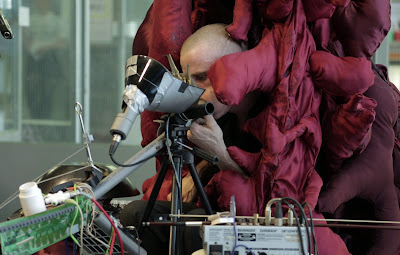 Here are a couple of images from the performance and the video of the full performance. P.S. thanks Gilles van Leeuwen for filming my performance.